Last week, we continued exploring High Quality Connections (HQCs) as a way to build vibrant connective tissue within organizations and communities (1). We concentrated on demonstrating and developing trust by what we do and say as well as by what we do not do or say. Trusting means acting with integrity, dependability, and benevolence towards another (1). It is a way of showing positive expectations about someone’s behavior and intention. It sounds simple, but in practice, trusting can be quite difficult. Trust inherently requires some risk. Only you can decide when and how you want to build trust. However, when we adopt a stance of “trust is earned” or “show me”, we miss the opportunity to build trust and craft potentially High Quality Connections with others. When we make ourselves vulnerable and rely on others visibly, we create opportunities for trust (1). Sharing valuable information, practicing appropriate self-disclosure, sharing credit, using inclusive language and acting in alignment with that language are all ways to build trust. Giving away control and soliciting and integrating feedback are two other pathways to demonstrate trust and send a clear message of value. At the same time, withholding accusations of bad intent, refusing to jump to conclusions about someone’s behavior, and avoiding surveillance behaviors can also build trust. After all, everyone makes mistakes. Trust is a special resource that increases with use! When we believe the other person is acting with our best interests in mind, a trusting connection can grow. When this process of mutual trust is not broken, it becomes a self-fulfilling cycle (1). Last week, I invited you to explore your own history with trust and garner awareness of your personal trusting behavior(s). Did you consider the follow questions: What experiences have strengthened or challenged your ability to trust others? What default assumptions do you hold about other people and their ability to be trusted? How do you convey trust in others? Do you think others are able to perceive your sense of trust? Did you examine your “trust bank” by considering who in your organization or community trusts you and who you trust? If so, did you identify one way of building trust in a relationship and engage in small steps to experiment with trusting action? If you took this opportunity, what did you notice? What does it feel like to offer trust? How does the other person react to your action of trust? I hope you enjoying developing trust last week! This week, I want to look at Play or having fun with one another as the fourth pathway to developing the dynamic energy of a HQC. Play is often seen as frivolous, particularly in work environments. But in reality, play is far from frivolous, and it's not just for kids. It's a vibrant pathway to HQCs! As adults, we tend to separate work and play in our minds. 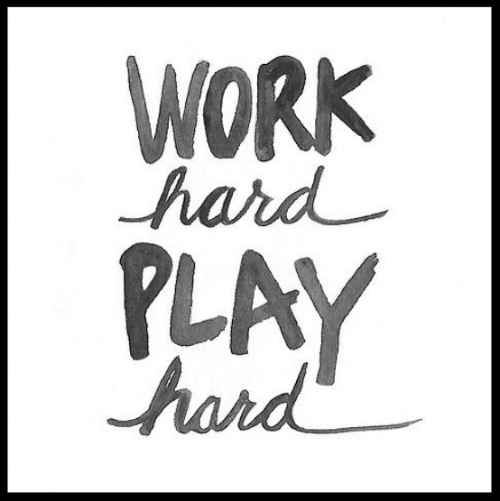 Work hard, Play hard. Why not play at work? Research supports that play will increase connections and engagement (1). This is a team that knows how to have fun and leverage play to develop high quality connections! We learn more easily in high quality connections (1). Positive emotions, joy, and interest follow. As positive emotions spark, our capacity to broaden and build our perspective increases ideation and creative behavior (2). This spreads in organizations, networks, and communities (3), builds the desire to play, and facilitates people’s willingness and capacity to learn (1)! In this way, engaging a sense of play can breathe life back into organizations and communities that are experiencing energy depletion (1). Perhaps a squirt gun fight, sunshine break, or quick game can energize your community or organization? What does play look like at work? 3. Is highly interactive among play partners or with the activity itself. True, play at work has some special considerations. There tend to be power structures and dynamics that can impact a sense of play in the work place. Additionally, since play is spontaneous in nature and hard to measure in research, so more work is needed to understand the dynamics of play at work. Just like a child on a slide, there may be unintended harm or consequences during play in various environments (5). 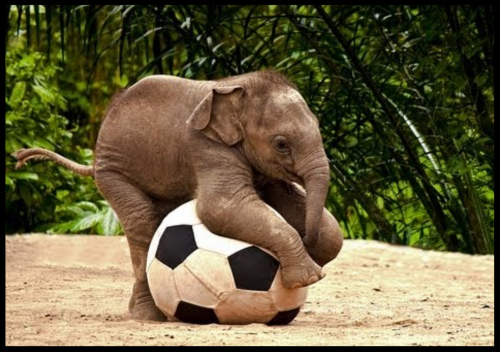 More research is needed to understand how play may help regulate emotions, support goals and impact resources (e.g., time, energy, focus, attention) (6). Play is innate and natural, yet we tend to forget it’s importance to develop connection and relationships within certain communities or organizations. Bringing forward your humor, using your imagination, physically engaging in play, and creating games are all common pathways to social, emotional, and cognitive development in childhood that can be forgotten in adulthood. Let's take advantage of play! This week, I invite you to bring your inner child to the surface and adopt a sense of play! Think of three small ways you can be playful in order to increase engagement and build connective tissue in your connections (1). Write them down, and take action! Use your discretion and good judgment to know when and how to engage your sense of play. Then, take notice. What does it feel like for you to be playful? How does your sense of play impact those around you? I hope you enjoying developing play this week, and I look forward to seeing you next week as we wrap up our time on positive relationships! 2. Fredrickson B. Positivity: Groundbreaking research reveals how to embrace the hidden strength of positive emotions, overcome negativity, and thrive. New York: Crown Publishers; 2009. 3. Fowler J, Christakis N. Dynamic spread of happiness in a large social network: Longitudinal analysis over 20 years in the Framingham Heart Study. British Medical Journal, 337, a2338; 2008. 4. Van Vleet M, Feeney B. Young at heart. Perspectives on Psychological Science, 10, 639 – 645; 2015. 6. Petelczyc C, Capezio A, Wang L, Restubog S, Aquino K. Play at work: An integrative review and agenda for future research. Journal of Management; 2017.